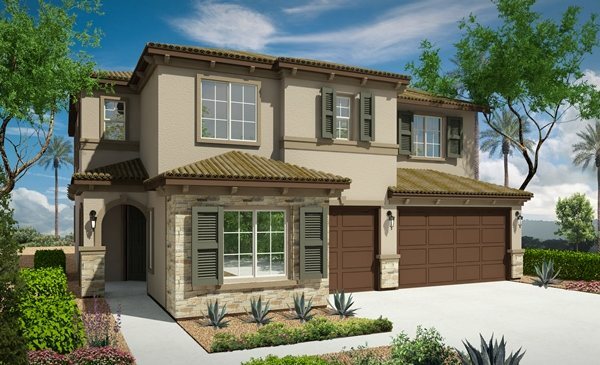 Huge Brand New Home in a Henderson Golf Course Community priced from $471,990! This exclusive 3,873 sq. ft. home greets guests with an open living and dining room. The beautiful gourmet kitchen features a built-in desk, granite countertops, raised-panel cabinetry and a large center island that overlooks the breakfast nook. Adjacent to the kitchen is a spacious family room, powder room and two downstairs bedrooms split by a full bathroom, which can be optioned into a granny suite with in-suite washer and dryer and full bathroom. Upstairs welcomes you into a library that overlooks the living room and flows into a spacious bonus room, which can be optioned into a sixth and seventh bedroom with full bathroom. Down the hall is a laundry room, two bedrooms and a full bathroom. The gorgeous upstairs master suite features a built-in vanity, dual closets, dual sinks, a relaxing garden-style soaking tub and separate shower. This home comes with Included package that includes many upgrades like granite countertops, GE® kitchen appliances, laundry room cabinetry, home automation, barbecue stub and much more! Call the Williams New Home Team 702.659.0258 for more info! 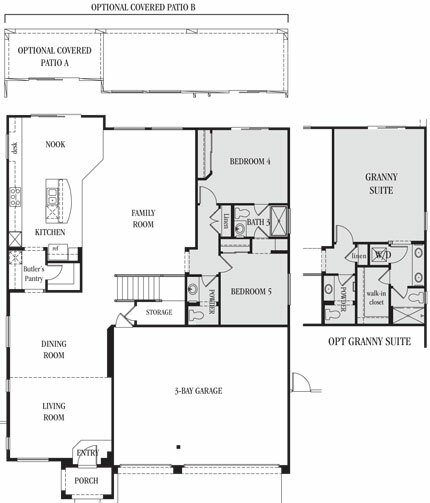 The main floor of the inviting floor plan features a spacious great room and an open dining room that flows into an optional gourmet kitchen with ceramic tile flooring, granite countertops and an island. 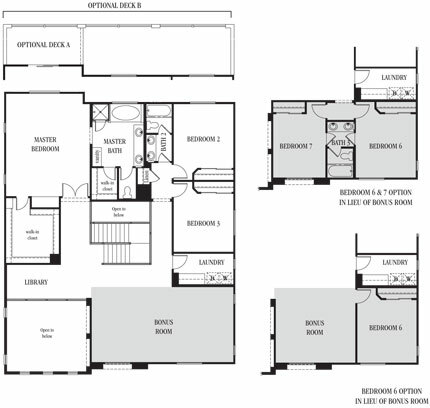 The study and powder room can be optioned as an extra bedroom and full bath. Upstairs, enjoy a roomy loft and a relaxing master suite. Personalize this plan with options such as a deluxe master bath, additional bedrooms and a covered patio. Look at this cozy 2,221 Sq Ft 3Bed 2.5Bath 2-Car garage ranch style home for $291,950 located in Henderson. This home features: Ceramic tile flooring in the entry/kitchen/bathrooms/laundry, 9′ main-floor ceilings, Paver stone driveway/walkway/entry, Granite kitchen countertops with 4″ backsplash, Gourmet kitchen with double oven, natural gas cooktop & vented microwave.